Unruly children whose parents sit by like they don’t know them irritate me : ) We don’t have a garden, but I do hit the farm stand down the road pretty much every day for our dinner veggies. Enjoy your Wednesday! I have been impressed with your garden stories. I think you are doing a great job! Good luck saving the tree! Wish I could grow fresh veggies, but time, experience and space are against me. Good excuses, right? You have definitely mastered vegetable gardening. I agree, those are two good spices. “Bedtime” is a great answer! Too funny about Jack ripping the chevron vest! Tucker says he would have done the very same thing. LOL I have definitely NOT mastered the art of vegetable gardening. Though I do keep trying. I’m beginning to think my thumb is NEVER going to turn green. Apple cobbler! Sounds wonderful and fall like. You don’t sound old at all, you sound my age and we are perfect!!! You are as bad as me. Feeling you had to rescue the last lonely tree. I do find that I’m fussier or more persnickety as I get older … I try hard to fight it … I don’t want to become that “crabby old lady”. 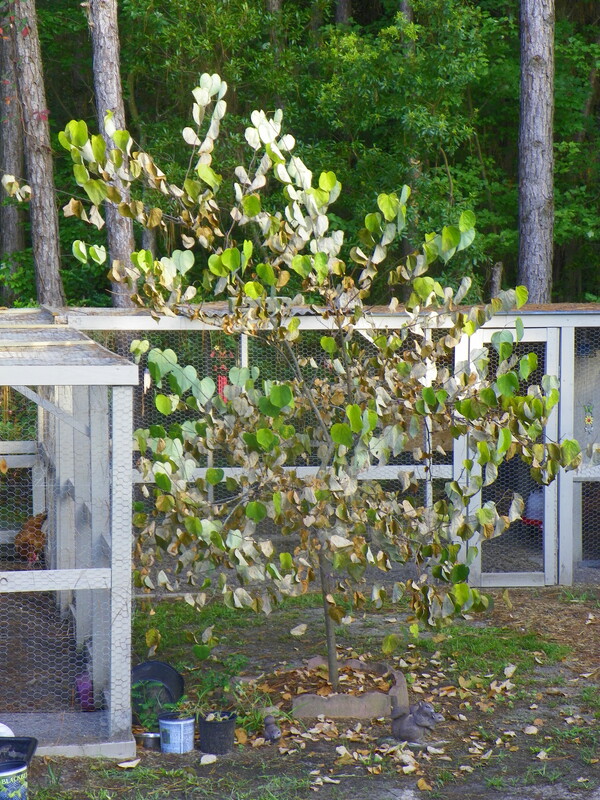 It’s a shame about your red bud tree … they’re so pretty … I’m sure your chickens will miss the shade. You and Ed are definitely master’s in the vegetable gardening department. I suspect that even masters will continue to learn something new every season as weather, temperatures, insects and bigger critters vary and as you accumulate more and more knowledge about your own unique garden space. I can’t wear chevrons but I’d sure love a chevron rug in my guest room. I like the look of them peaking out from under the bed. And yes, home grown veggies are the VERY best!